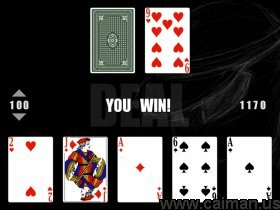 Caiman free games: Area 51 Blackjack by Ragnar Brynjulfsson. 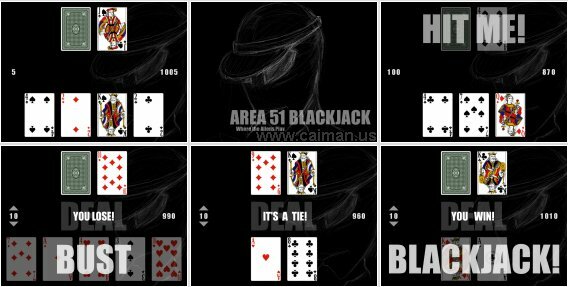 Area 51 Blackjack is a fun little blackjack game where you can gamble with the alien inhabitants of Area 51. The winner is the one with the highest hand that is not above 21. Aces count as either 11 or 1. Jacks, Kings and Queens count as 10. 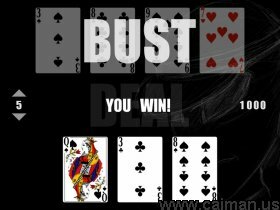 If you get 5 cards without going bust you win.